Jordan Ernest Burroughs was born on July 8, 1988. He grew up in the town of Sicklerville, New Jersey. The youngest of four children, he began wrestling at the age of five, his first weight class being only 45 pound weight class. At that time he was inspired by the great wrestlers of the World Wrestling Federation (WWF). His favorite wrestlers as a kid weren't Olympic champions at all, but rather the Ultimate Warrior and Macho Man Randy Savage. Burroughs attended Winslow Township High School, where he won three district titles, two regional championships, and was a state champion in 2006 at 135 pounds. That same year, he won Senior Nationals, a tournament comprised of the best senior wrestlers throughout the country. After completing his high school career, Burroughs was ranked No. 52 on a list of 100 best Senior wrestlers in the country. In 2006 he accepted a scholarship to the University of Nebraska to follow his long-time friend and former teammate Vince Jones, and wrestle in Lincoln, Nebraska for the Huskers under head coach Mark Manning. At Nebraska, Burroughs had a tough transition early on. He finished his freshman year with a 16-13 record. However, his work ethic continued to improve, as did his abilities. Over the next three collegiate seasons he amassed a record of 111-6, finishing his junior and senior campaigns with undefeated records (in 2009; 35-0 and in 2011; 36-0). He concluded his collegiate career with three Big 12 titles, two national championships and the Hodge Trophy during his senior season (wrestling's equivalent to college football’s Heisman trophy). Burroughs graduated from UNL in the Spring of 2011 with a degree in Sociology. He jumped into the world freestyle scene almost immediately, winning the U.S. Open at 74 kilograms just three weeks after his last college match. Burroughs kept the winning streak going, earning a spot on the United States World Team that year and following through by winning his first World Championship on September 18, 2011 in Istanbul, Turkey. With that victory, Burroughs became only the fourth wrestler ever to win an NCAA championship and World Championship in the same year. The following year Burroughs qualified for the 2012 Olympic Games at 74 kg by defeating Andrew Howe at the 2012 U.S. Olympic Team Trials in Iowa City, Iowa. On August 10, 2012, Burroughs defeated Sadegh Goudarzi of Iran to become an Olympic Gold Medalist. In 2013, Burroughs returned to the World Championships, where he won his second career World gold medal. Most memorably, he competed in the World Championships less than a month after breaking his ankle in training. He joined John Smith as only the second American wrestler to win three World or Olympic gold medals in a row. Burroughs went three and a half years without a loss, before having his 69-match win streak broken in February 2014. It was the longest winning streak in U.S. history on the Senior level. Burroughs once again made the U.S. World Team, finishing with a bronze medal at the 2014 World Championships in Tashkent, Uzbekistan. In June of 2015, at the World Team Trials in Madison, WI, Burroughs defeated four-time NCAA Champion Kyle Dake in two straight matches to make his fifth World/Olympic Team in a row. On September 12, in Las Vegas, Nevada went on to win his third World Championship. There have only been two American wrestlers to ever win 3 or more world championships, and this victory put him in very elite company. In 2016, Jordan qualified for his second Olympic Games in Rio, Brazil. After being ranked No. 1 in the world and heavily favored to repeat as Olympic champion in 2016, Burroughs was beaten twice and failed to medal. For the first time in his international career, he would leave a tournament without being on the podium. In 2017, Jordan Burroughs' path to redemption was complete. The Winslow Township product won his fourth World Championship on to go along with a 2012 Olympic gold medal by capturing the 74 kg title in Paris, one year after being eliminated from the Olympic Games in Rio without a medal. Burroughs joined Bruce Baumgarner with five titles and is now one away from the U.S. record held by John Smith, who won four worlds and two Olympic crowns. Burroughs helped the U.S. win the team title in men’s freestyle for the first time since 1995, as the Americans finished with 54 team points, edging Russia by one. In 2018 Jordan qualified once again for the World Championships, making his 8th Freestyle Wrestling U.S. World Team in a row. Competing in Budapest, Hungary, Burroughs came away with a bronze medal, bring his total tally to seven World or Olympic medals, tying American legend Dave Schultz for second most medals in U.S. history. Burroughs now boasts an extraordinary senior level record of 163-7. Burroughs has been asked if he would ever consider pursuing mixed martial arts, but has stated that his passion is, and will always be wrestling. Burroughs loves social media, and is very engaging with his fans on Twitter, Facebook and Instagram. 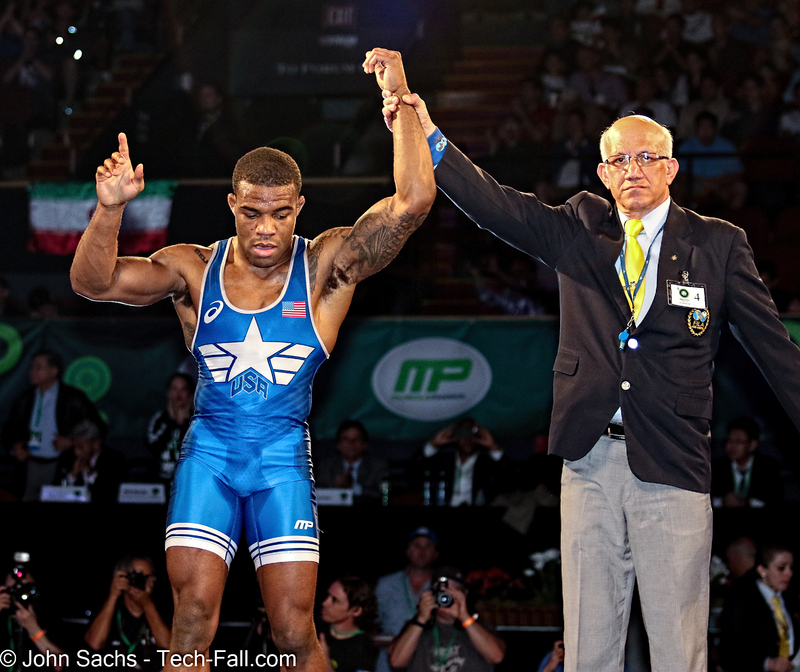 His Twitter and Instagram handles @alliseeisgold, have earned him quite the reputation in the sports community. On October 12th, 2013, Burroughs was married to Lauren Mariacher, and they have a son, Beacon, born July 19th 2014, as well as a little girl, Ora, born June 11th 2016. Jordan is a christian who enjoys reading and spending time with his family. Burroughs loves cars, is a self proclaimed foodie, and enjoys fashion. After wrestling, he would love to become an entrepreneur. Besides more gold medals, he dreams of someday having a big home with a large family to fill it. Although Jordan is a wrestler, he loves football and is a Buffalo Bills fan. Jordan's favorite current athletes are Roger Federer, Lebron James, and Serena Williams. 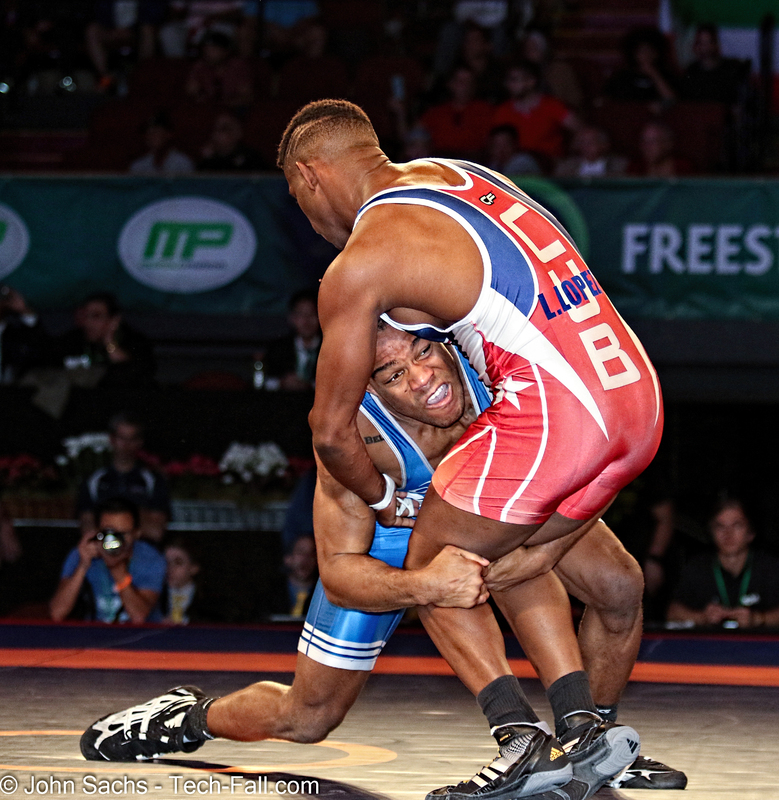 Burroughs’ goal is to become the winningest wrestler in American history. John Smith, the American leader, stands in first place with six total titles. In order to do surpass him, he would have to win two more world championships in addition to the five he already has. He has his sights set on another gold at next years 2019 World Championships hosted in Astana, Kazakhstan, and another gold medal at the 2020 Olympic Games in Tokyo, Japan.